Giving to the community in order to encourage more giveaways. Very interested in sharing my genetics, freebies with every order. 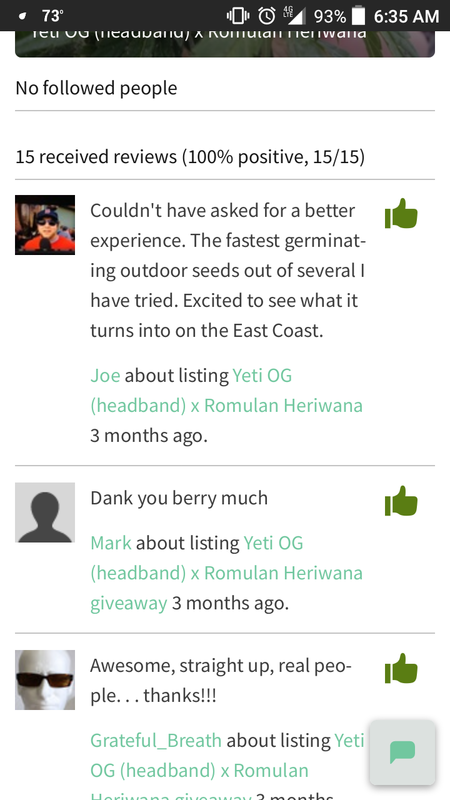 Thanks for reading, if you would like some seeds let me know. Got more pics? I can't access the strainly thing without joining...& IG appears to be private. Not sure about the OG user level info/link in your profile. G'day mate, I wouldn't mind a few beans of you to try some day please. Welcome to og my dude! Id like to get some seeds for next year outdoor. These look beautiful, thanks for the opportunity. Here are some more pictures of Yeti OG x Romulan heriwana. Please message me if you want to trade/ receive free seeds, as I haven't unlocked pms yet, please and thank you. hey id love to try some of the beans my man! and welcome to OG! This strain grows in most environments, temperate, cold and hot. I prefer outdoors, but this strain does well in both outdoor and indoors! 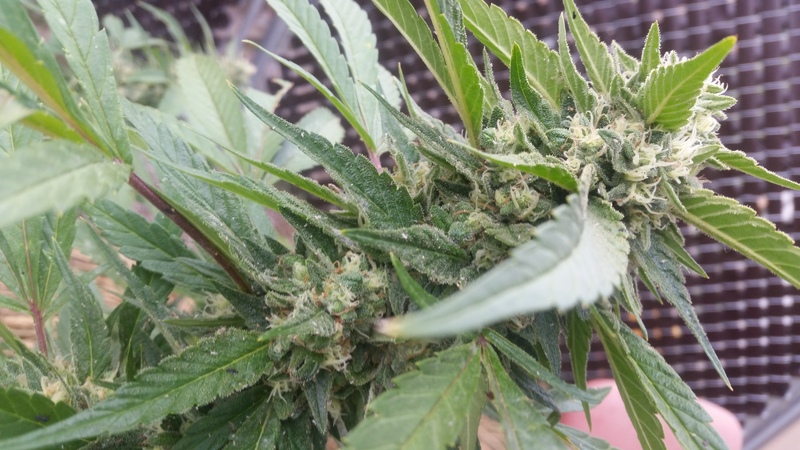 Flowering time is 70-75 days. The buzz is 80% stoney high and 20% cerebral high. Terps are,(Alpha Humulene) (Alpha Pinene) (Caryophyllene) (Limonene) (Myrcene) (Terpinolene). That sounds great. U interested in trade? Definitely, send me a pm and we can discuss the trade! Would Loooove to try it out my man! Send me a pm, I will send you some seeds.